Energy and Epigenetics 11: Is the Force With You? How does the electromagnetic force alter the action of biology? What are the four main physical forces? What are the four major “biologic instruments” that the electromagnetic force play? How does cold effect the action of insulin? What makes up our redox potential and why is it so damn important? That quote was made about the epic NASA failures during the Challenger disaster in 1986, but it speaks volumes to the modern human condition today. History never repeats itself exactly, but it sure does rhyme a lot. It makes you ask yourself the question, do you have a habit of arresting a thought and convicting a soul? Feynman made that statement about the space shuttle disaster 30 years ago, but it fits better today with our infatuation with non-native EMF from technology gadgets. Nature cannot be fooled, but we certainly can be. In fact, we are the easiest people to be fooled by ourselves. Moreover, some professions are fooled everyday they go to work and never realize it. Absence of evidence is not evidence of absence! This is why in science, words and publications can often be meaningless, especially when they are used in such a way that no sharp conclusions can be drawn. Here’s some background music from Justin Nozuka. Have a listen. The molecular story of life has over 300 major “actors” that talk the language of intercellular communication. Some of these “actors” only speak one language. Most play the “hero” or the “villain,” but not both. No single “actor” can fit into all of the acting roles required for intercellular communication, but there are some actors who could play multiple roles. Biology must begin to realize that the same molecular keys can open the doors to heaven and the gates of hell depending upon the context these keys are generated within. GEEKS: Aging and neolithic disease generation are clearly linked biologically, chemically and in a quantized fashion. NON-GEEKS: Correcting the physical chemistry of your inner ocean is like a healthy aquarium; it will go a long way towards elevating mood and dropping depression. Reduction/oxidation potential, is a measure of total electric charge levels in ponds, aquariums and YOU! Today’s blog is about how that charge begins to be developed and maximized in you. What is missing in biology and medicine today is a modern unified quantum theory on how disease and aging merge. You would do well to understand the strongest force in our universe, the electromagnetic force, is the basis of the inflection point where aging and disease meet. The basis of this merger mimics what physics does in the standard model of physics. There are four fundamental forces in physics. In biology, I submit, there are four cornerstone forces which act with quantum mechanisms to affect the protein backbone that is coded for by our DNA and RNA to alter our expression to meet our environmental pressures. This makes understanding the complexity of biology a lot easier, in my view. I decided to reduce the massive complexity of biology to the four aspects of quantized protein actions because of how we use information theory statistics to study non-human languages. It turns out NASA, the SETI, Primate and Cetacean researchers are all using mathematics to figure out if species on Earth or in space have something in common when it comes to language construction. NASA and SETI need this information to scan interstellar noises to see if the recordings are alien life forms looking to make first contact with us. We may have already been contacted, yet we might not know it. This is why they study this stuff!!! I know this sounds hard to believe, but I promise you it is real and it is fascinating. Comparative analysis of human and non-human animal communication systems has been going on for decades and is making some incredible in roads in understanding how language is initially structured across all life forms. It turns out there is a symmetry to it when it is analyzed using information theory. Animal languages vary their sophistication across species. The complexity increases particularly when it is compared to human language. The tools used to do this has been generally hampered by both a lack of sufficiently extensive data sets in animals and the appropriate analytic tools of language creation. Information theory measures have provided an important quantitative tool for examining and comparing communication systems across species. After reading about this in detail, I thought this might be an ideal way to simplify the “core alphabet and language” of the quantum cell so we could more easily digest it. In language studies, the original application of information theory used to decipher the unknown animal languages used statistical examination of their communication system’s structure and organization. I believe we can find the real language of the biology of aging and neolithic disease generation using the same template. The most common words in any language, human or not, are formed with the most common letters in the alphabet of the language’s construction. I use the term “alphabet” loosely when conjuring up alien language and that of dolphins who use echolocation and sound frequencies to speak to one another. The distribution of “these letters,” or sounds, and “the words they make up,” when plotted on a graph, forms a linear straight line with a classic slope well known in these studies. When I looked carefully at Ling’s work and the best known mechanisms of protein modification in epigenetics, I saw four basic biologic forces at play. These biologic forces parallel the four basic forces in physics. All of these forces act upon matter differently, therefore they have their own characteristic fortes. They all work over different scales and ranges to exert their effect. For example, the one force humans are most familiar with is gravity. You might be shocked to find out gravity is the weakest of the 4 physical forces, but it has an infinite range to exert its power. It is the reason the moon does not zoom out into space away from Earth. It also is the one we know the least about from a quantum perspective. The first two forces, strong and weak, act inside the atom’s nucleus and have only short range power in the atom and we do not need to go into their complexity for this blog. The electromagnetic force is the one I have been spending a lot of time discussing with you over the last year. Electromagnetic force is the strongest force in biology because it has infinite range to act upon matter, of which we are made. But what makes it special for biologic use is that it is many times stronger than gravity. The electromagnetic force is the strongest force in the universe, and our nucleic acids (DNA and RNA) are both played using this force. When I say “played” I am referring to how a concert pianist plays his piano — to make gorgeous music using his coordinated finger strikes melodically on ivory keys to make frequencies that span 73 different octaves (harmonics) and billions of frequencies that contain resonant energy and information in each wave that gives its sounds meaning to our life. This energy and information can alter the expression of our “nucleic acid orchestra”. The electromagnetic force is that powerful conductor of DNA. So here, we can also see the fractal element in the idea as well. Here is a thought meant to resonate and reverberate in your neurons to show you the power of the elctromagnetic force: a mathematician would say that an electromagnetic wave travels from Andromeda to your eye, and he would show you many equations to prove it true. A quantum biologist, like myself, says that it does even more than that. It also extends the power and information in Andromeda’s light directly to your eye and brain to make some sense of it. Today, you can see Andromeda with your naked eye. It is 2.5 million light years away. When its light started heading your way to your eye, human beings did not even exist. Yet you are here now to see that light. This is by definition action at a spooky distance, showing you the power and the range of the electromagentic force. It is, in fact, infinite. These are the four major biologic forces or “musical signals” that result; they are able to act in concert with the electromagnetic force in quantum physics to make life “metastable” and highly reactive to its environment so it may adapt on a nanosecond basis. This idea was covered in expanded fashion in Energy and Epigenetics 6 blog. I told you long ago to stop looking at food as metabolic fuel and instead look at it as hormone information. Today I am going to show you how the language of hormones is decoded by using electrons and protons in your mitochondria. Now you are going to find out why I said this. Sunlight is a small part of the electromagnetic spectrum when one looks at it top down. Photons and electrons make up this spectrum and their energies are the differences within the spectrum. What they both are made from, however, is identical from a subatomic perspective. Sunlight splits water into hydrogen, oxygen and electrons at a basic level. Hydrogen from water is a proton. Electrons are liberated from both atoms that make up water (I laid this out in the photosynthesis blog). This water is used to grow all aspects of our food supply. This means our food contains information about the electromagnetic spectrum in both photon and electron messages. I told you all food is broken down into electrons in our mitochondria. What I have not mentioned a lot is that long chain fatty acids from food and our metabolism of foodstuff provide our mitochondria with protons too. Protons carry a positive charge and electrons carry a negative charge. The electromagnetic force acts with infinite power and range on all CHARGED particles in the universe. This includes your quantum cell and especially your mitochondria. This means they are under strict control of the electromagnetic force, as electrons are from food. These electrons enable us to electronically induce molecular changes in proteins and in our electron transport chain in mitochondria to electrify the hormone cascade in the hypothalamic pituitary axis. These electron and proton paths can and should be thought of as possible fates, or even quantum superposition to deal with multiple possible realities food faces in our mitochondria processing plant; their ultimate fates are controlled by the electromagnetic force to perform different actions within the electron transport chain. The electromagnetic force changes as seasons change. This powers the energies of electrons in foods up or down depending upon the season the food grows in. It turns out this is precisely how insulin evolved and is regulated in our mitochondria. It is tied to “where” electrons and protons are being fed into the chain. When electromagnetic energies in the environment are altered, we appear to harbor two basic possible mechanistic states that the electron transport chain can choose between based on the two states we face. or an excess of food, with the result of too many electrons or too much energy from photons and a lot of protons. Therefore the electron transport chain has to have a built-in mechanism to deal with both situations. This is just like a simple circuit being controlled on a laptop semiconductor chip. When we starve, we have poor electron flow or current and very few electrons enter in cytochrome 1. Insulin’s action would be low during this time. In the mitochondria at complex 1, when the current is low, we deliver plenty of endogenous electrons from FFA to flow through the FADH2 input at cytochrome 2. This happens through the action of electron transporting flavoprotein dehydrogenase coming from the first step of beta oxidation of real fats from our fat stores. For example, this could be a fatty acid like palmitic acid. When food is sparse in winter, the current of flow is low, and it is near impossible to generate reverse electron flow through complex 1, so activation of insulin signalling is rapidly aborted by the continuing action of tyrosine phosphatase. This yokes insulin action to environmental temperatures. The photoelectric current signals phosphorylation of pathway proteins to change “where electrons” enter our mitochondria. I told you 2 years ago food clearly has a quantum electron effect. Most biochemists and those in the paleosphere fail to realize the effect is tied to the electrons’ energy state and nothing else. Foods grown in longer light cycles have higher energized electrons and they are handled very differently than electrons from low light level foods because of where they enter the electron transport chain in our mitochondria. Our mitochondrial cytochromes are proteins that can decipher the differences in energies, and this why they enter the ETC at different cytochromes and provide different levels of ATP and oxygen generation. Here you can begin to see how the electromagnetic force directly impacts the proteins in the insulin signaling pathway. The next possible state a cell can face is when the light cycle is long and electrons are present from foods. This is the state when insulin levels would be high. The electron chain then alters its functioning under the influence of insulin. Since the electromagnetic force is stronger in summer, and those photons can energize the electrons created from food, where they enter the ETC is at cytochrome 1. This is a different situation than electrons from food face in winter, when the electrons are more numerous but not well energized. The mitochondrial proteins of the electrons chain are designed to “catch” these electrons and they can “sense” the difference in the energy and the environmental information contained within these electrons. Any protein that catches electrons or protons is called a Maxwell demon. Generally these are coded for by DNA and RNA. How is insulin’s action quantized? When energies of electrons are higher because of the action of the photons of the sun, that signal is transduced by the cytochromes in the electron chain transporter. The energy is given off to these mitochondrial proteins and this causes specific phosphorylation of these proteins to alter their ability to function. This means that the highly energized summertime electron signal is coded for by the hormone insulin. When these types of electrons are sensed, insulin is made by the pancreas. When insulin is made, we see electrons being shuttled to complex 1 of the ETC, with a resultant large supply of NADH also being made at complex 1. When this occurs, we also have a restricted supply of fatty acids being delivered to our mitochondria from our fat cells because of the action of insulin on adipocytes. When this happens, it generates a high membrane voltage. This voltage is a charged energy that the electromagnetic force controls. If you watched the electromagnetic force video, you see that the electromagnetic force controls particles of atoms when they carry a charge. Protons have a positive charge and electrons have a negative charge. These are the particles that the force acts upon in our mitochondria. Ling was 100% pre-occupied with finding out where the high membrane voltages came for in life because he knew they were quite important for many processes. He was the first to find out that it was not due to the membrane pumps that biochemistry still thinks is the source. It is a function of Lady Evolution’s semiconductor design. Life’s battery is all about the charge separation of water. This voltage is what the electromagnetic force pays deep attention to, as I mentioned to you in Energy and Epigenetics 6. 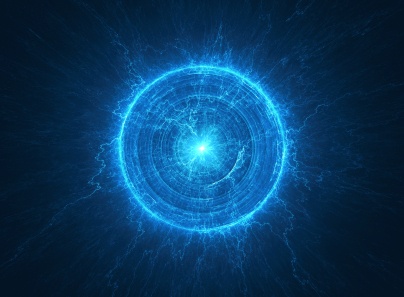 This voltage is directly linked to the cell’s ultimate redox power. When the voltages are high in membranes anywhere, but especially in the mitochondria, the result is a “relatively stronger current of electrons down the ETC via complex 1. Just like the vortex in the CSF is bidirectional for sleep, so is the current of flow in mitochondria of electrons from food. Because the current is strong in one only direction during summer, no reverse electron flow can happen at complex 1 because there is a minimal electron current simultaneously occurring via electron transporting flavoprotein dehydrogenase’s FADH2 at complex 2. This is how we store excess electrons, or highly energized electrons, which are elevated in their energies by the photoelectric effect of the summer light’s power in fat stores. When the electromagnetic force is stronger in your environment from non-native sources, the results can be easily explained using the above two paragraphs. Non-native EMF causes us to make excessive NADH in our mitochondria. After the electronic signal has been produced in a cell, termination of signaling is then needed. Insulin is degraded by endocytosis and degradation of the receptor bound to insulin as a main mechanism to end signaling. It turns out at the center point of insulin molecular structure is an atom of Zinc, a transition metal, surrounded by 4 specific amino acid residues. The interaction of the electromagnetic force and the interaction of Zinc and these specific amino acid residues causes a change in the electronic signal to induce dephosphorylation in insulin. This removes energy from electrons or it removes electrons from these proteins to induce dephosphorylation. If you watch the electromagnetic force video you will see semiconductor engineers add phosphate to silicon wafers to increase the sheer numbers of electrons to the silicon backbone to pre-load it for more optimal functioning. This makes a “N type” semiconductor. An N type semiconductor is negative because the added electrons from phosphate have a negative charge. The more phosphate you pre-load a semiconductor with, the more negative charge you get. In our excitable cells, our back bone of our semiconductors are not made of silicon, but of carbon surrounded by water. Being a bit more specific, our backbone is the triple helix of collagen surrounded by an ocean of intracellular water in our quantized cells to generate life. Water also happens to be the “N type” semiconductor. It collects electrons from all sources and distributes it throughout our cells and organelles. Health is a function of how many electrons your semiconductors have. When water is adjacent to collagen (hydrophilic substance), it separates into negative and positive charged atoms of protons and electrons. This is the what Energy and Epigenetics 10 showed you in picture and word form. Water has a fourth phase when it is placed adjacent to a hydrophilic substance. It forms a negatively charged exclusion zone. It has been experimentally proven by many. Most notable is Gerald Pollack. He decided to study this because of Gilbert Ling’s work. This charge separation creates a negative and positive semiconductor to develop within EZ water and collagen suspended within this battery acts like a wire that connect both oppositely charged semiconductors in water to form an electric circuit. If you carefully watch the video on the electromagnetic force, you will see this emerge in your own mind. What forms the semiconductors in you is very counter intuitive if you are a biologist. If you have no such educational biases you can see precisely how water works inside a quantum cell. But those things are the three fundamental things in Nature I spoke about in detail in Energy and Epigenetics 4. Getting rid of insulin’s actions in a quantized fashion? The signaling of insulin is terminated by dephosphorylation of these tyrosine residues inside of insulin’s molecular structure. The process of dephosphorylation is tied to the flow of electrons on the tyrosine residues by tyrosine phosphatases. We have known for some time that serine/threonine kinases will also reduce the activity of insulin, but few people have realized how the control of electrons dictates the mechanism of action. This is a quantum effect on these electrons. It turns out that cold temperatures have the exact same effect on these residues by inducing the Hall effect on electrons. This helps explain why Gilbert Ling found in 1969 that insulin action on D-glucose varies inside of cells when the temperatures falls below 62 degrees F.
The final action of insulin termination is associated with the reduction of the number of receptors on the plasma membrane. When cold is present or electronic induction altered, there is a decrease in the amount of insulin receptors present in our cell membranes which also brings to a termination of insulin signaling. This defines physiochemical thermoplastic control of a biologic response I spoke about long ago in the Cold Thermogenesis 6 blog post. This is an example of how the same molecular key can open both the door to heaven and the gates to hell depending upon the context in which the “key” is found. KEY POINT: If you are following this blog well, we would expect to see higher levels of NADH being delivered and developed in our mitochondria when non-native EMF is present to an excess. It would simulate a constant season of “summertime electrons” to our mitochondrial proteins 24/7. When we starve, we use our own fat stores to make ketones, which act to drop NADH levels because we are using protons at FADH2 and electrons at cytochrome 2. So this simply explains why non-native EMFs make you think you need carbs but also stimulate that need in the signaling mechanisms of your mitochondria proteins. This should explain to you what I wrote in the EMF 4 blog post now. It also explains why and how uncoupling proteins work in mitochondria. They are “Maxwell demons” who pay deep attention to the energies in the electrons and photons delivered to the inner mitochondrial membranes. When energy is high we should be able to uncouple to get rid of excess electrons or their energies as free heat. So uncoupling naturally increases when our mitochondrial membranes sense a higher voltage for any reason. This is why we burn free heat when we are healthy. It is also why our core temperatures are so linked with how well or ill we are clinically. The story is a bit more complex with uncoupling proteins because we can actually use insulin to uncouple in our species too! The electromagnetic force also turns on and off melatonin via the action of electrons contained in melanopsin in a similar manner. When this happens, quantum sleep is induced as I posted in Energy and Epigenetics 9. It is made most efficient when we are cold, ketotic, reduced. The cell becomes reduced by making large amounts of glutathione when melatonin is high in the absence of the electromagnetic force of light. Glutathione is the main chemical that provides for all redox reactions in the body. This means the redox potential is 100% tied to your ability to live a long life healthy. When you begin to understand how electrons are handled, you begin to see why biology has missed how insulin really acts in different electromagnetic fields. It is 100% tied to the electric field and magnetic field that is surrounding the organism. These fields always vary, especially between light and dark periods and within seasons. How electrons work from food seems to offend the “common sense of biology.” I find this concept to be a very good thing because the the principles of relativity, quantum mechanics and quantum vortices in black holes also offend biology. This is the way nature works in us, and across the whole universe.